A man is in critical condition after he was hit by a logging truck in rural Pierce County near Lake Kapowsin, according to the Graham Fire District. Emergency personnel responded to the scene along a logging road in a forested area east of the lake on Monday morning after reports of a serious accident. The man was found to be in critical condition with severe injuries to his extremities. According to KOMO news, medics wanted to airlift the man to Harborview Medical Center in Seattle, but the weather would not allow for it. The man was treated at the scene and was taken by ambulance to a more accessible location to be flown out. Further details of the incident are unknown at this time. It is currently under investigation. The logging industry has been a large part of the United States' economy for hundreds of years. Unfortunately, logging can be a dangerous occupation, and hundreds of logging truck accidents happen every year. On any given day in Washington state, you may see a timber truck loaded with trees and brush driving on the road. The reality is that these trucks and the cargo they carry result in many serious accidents in Washington state each year. 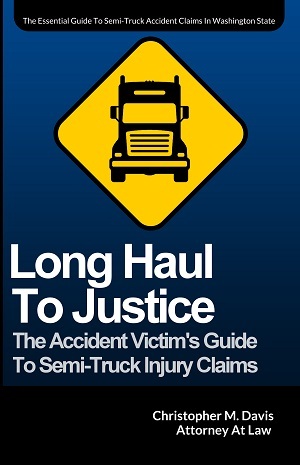 Whether it's overloaded logging trucks that can’t stop, unmarked tree trunks extending beyond the beds of trucks, or flying debris from trucks, these incidents cause accidents to automobile drivers, passengers, motorcyclists, and pedestrians. As with any large truck or commercial vehicle, logging trucks caused more damage than the average car. 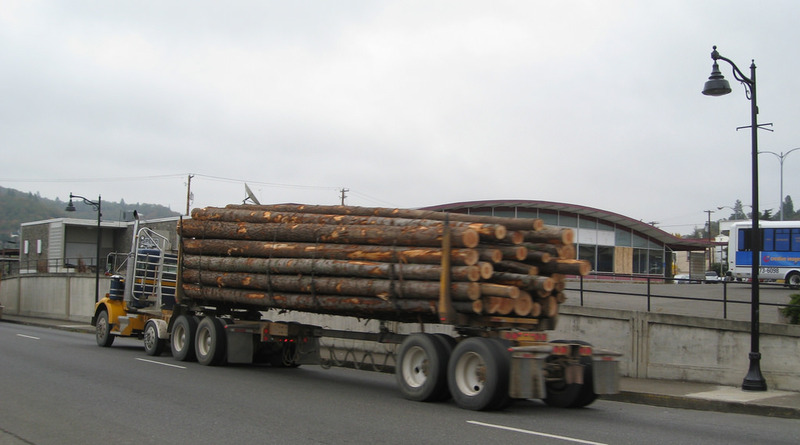 The great size and weight of logging trucks may lead to catastrophic injuries and wrongful death if an accident occurs. If a truck accident caused injury or death to you or a loved one, the injured party and their family has the right to recover compensation from all the responsible parties. An experienced logging truck attorney can help receive financial recovery from all possible sources. Just recently, attorney Chris Davis of Seattle-based Davis Law Group, P.S., helped recover a $1 million settlement for a man that was severely injured by a logging truck in Port Angeles. The man suffered serious brain injuries, a tibial plateau fracture, as well as a loss of smell and taste. Mr. Davis held all at-fault parties involved responsible, securing the most compensation possible for the man and his family. If you have been involved in a logging truck accident, please contact Mr. Davis and the team at Davis Law Group to discuss your case. Call (206) 727-4000, use the chat feature below or fill out the form on this page to get started.